The tradition of hosting a topping out ceremony dates back over 1,300 years to the builders of Scandinavia who held a great celebration once the last beam was placed atop the structure of a building. Usually by the toast of a hearty drink, a branch was plucked from a tree used in the construction and reverently placed on the highest point to appease the celebrants’ ancestors and any tree-dwelling spirits they may have displaced. “It’s a neat tradition,” Karl Larson said. 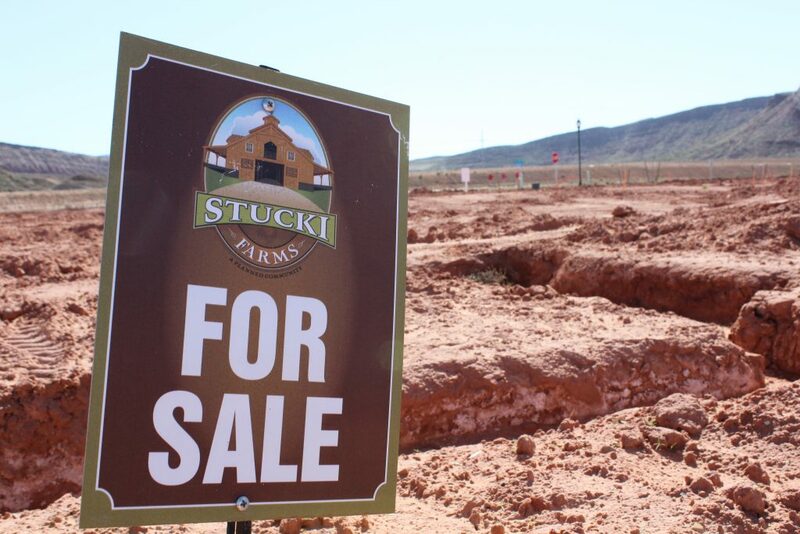 Larson, the developer of Stucki Farms, told St. George News he was pleased with seeing the completion of this phase in the new community and all of the changes happening in the area. 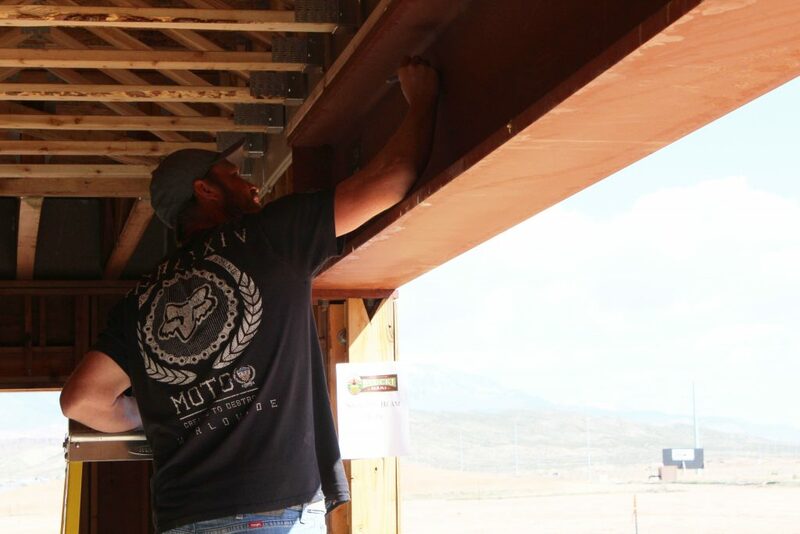 He said it was amazing the see the difference and he was looking forward to everyone coming out to see the progress being made on his vision. Located in the outskirts of Washington City, Stucki Farms covers just under 600 acres, of which Larson plans to have 140 acres set aside exclusively as open space for parks, 24 acres of lakes, 3.25 miles of walking paths and many relaxing, recreational areas. Known as “A Great Place To Come Home To,” whether you are looking for a quaint cottage or a sprawling custom-built home, Stucki Farms may have the place of your dreams. 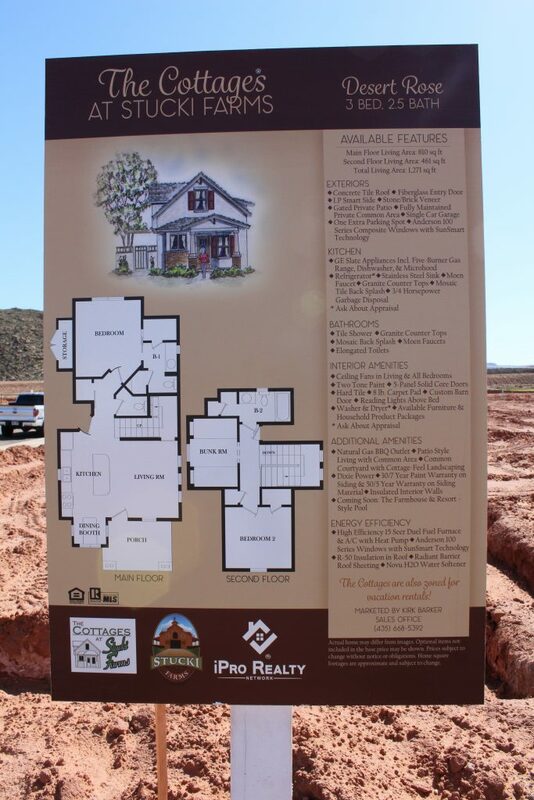 The development features 7 acres of amenities, including pickleball courts, sand volleyball courts and basketball courts, as well as a hot tub, lap pool, lazy river and waterslide for the kids. 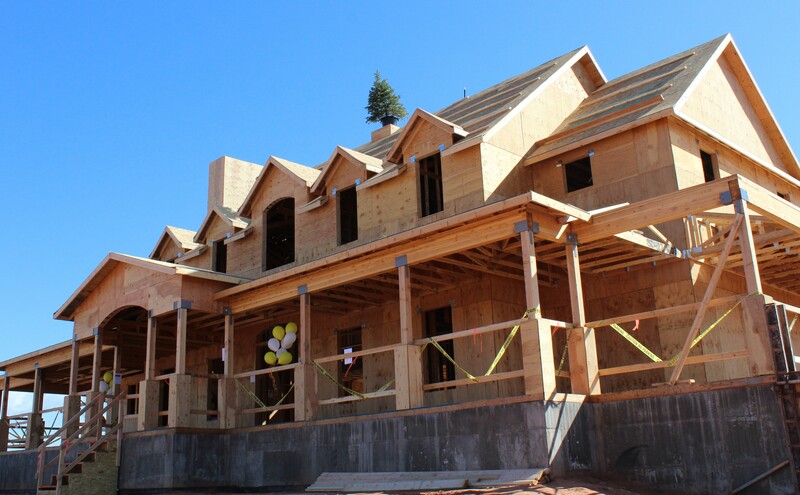 As the topping out ceremony ensued with dozens of workers, sponsors and curious neighbors, a few surprised drivers passing by the gathering likely wondered why a Christmas tree would be placed on top of a newly framed building. 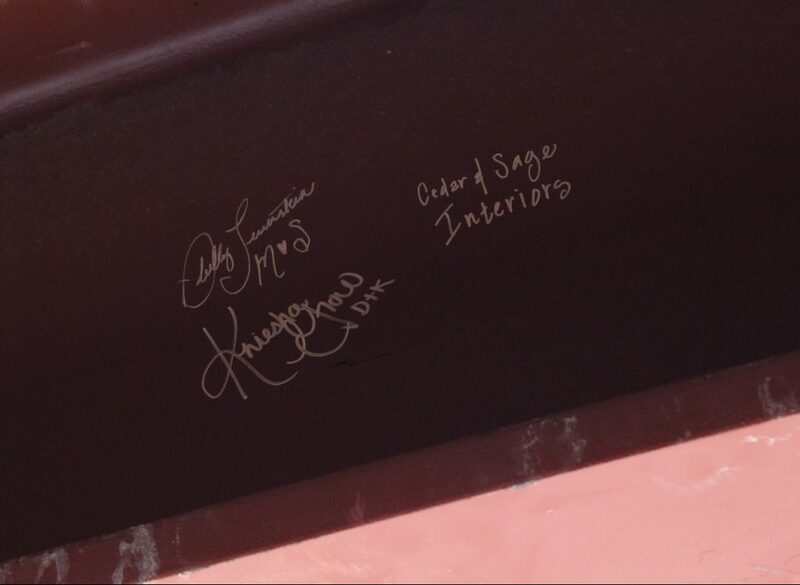 Following a tour of the site and massive new construction, everyone had a chance to have their name immortalized by signing one of the final beams. While the Scandinavians would finish the ceremony by also placing a flag of their family on top of the building, framers from LM builders climbed up the roof to carry on the tradition by hoisting the red, white and blue of old glory while everyone stood in patriotic salute to the national anthem. The pride of all their hard work was written on their faces as they saluted the flag. 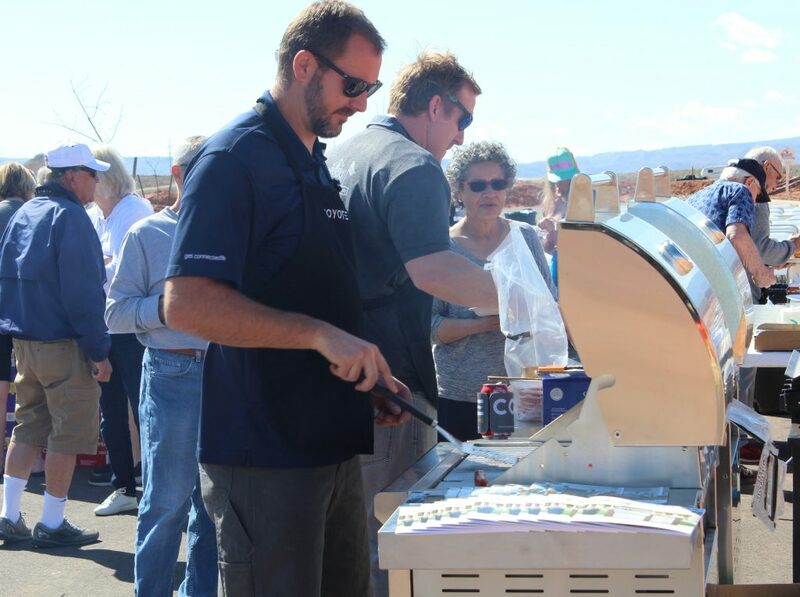 While guests were enjoying music from local radio, free T-shirts and a barbecue feast, Larson smiled ear-to-ear as he shared a little piece of his dream with the crowd. Stucki Farms was built with the heritage of Washington City in mind and Larson wants it to be a beautiful place for people to raise their families, he said. Located at 5015 S. Cattail Way in Washington, he said he hopes everyone will take a drive out and see all the great things they have going on. To learn more, visit the Stucki Farms website.